Jackson is the capital of Mississippi and also known as the ‘City with Soul’ thanks to the numerous musicians prominent in blues, gospel, folk, and jazz. The park is named after the late 18th-century explorer Louis LeFleur. The City of Jackson was initially called LeFleur’s Bluff but was later changed to Jackson in honor of Major General Andrew Jackson who would later become the seventh President of the United States. 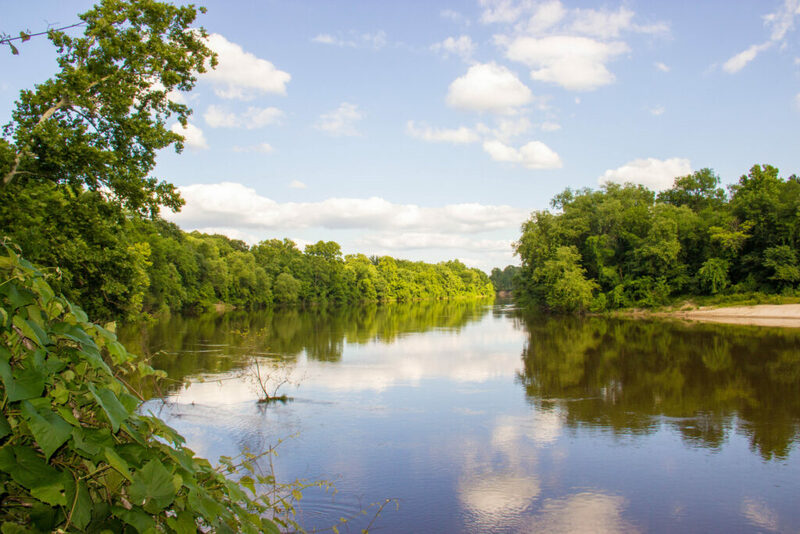 The 305-acre LeFleur’s Bluff State Park has numerous outdoor activities, including camping, fishing, hiking trails, disc golf, and the picturesque golf course. The 28 campsites include water, 30/50 amp electrical hookups, along with restrooms, showers, and laundry facilities. LeFleur’s Bluff Golf Course is nine holes of excellence! The par 35, 2,931-yard course features rolling terrain and abundant plants and wildlife that makes this popular track a favorite. Course amenities also include a practice area, pro shop, putting green, rental clubs, and a snack area. Located right in the heart of LeFleur’s Bluff State Park is the Museum of Natural Science. The museum’s vast expanses of glass overlook a 300-acre natural landscape, an open-air amphitheater, and 2.5 miles of nature trails. Inside, meet more than 200 living species in the 100,000-gallon aquarium. You can also explore the many offerings within the 73,000 square feet of permanent and temporary exhibits. Some of those include deer, waterfowl, fossils, and Mississippi’s endangered species. If it’s a museum you’re looking for, there are several worthwhile candidates in Jackson. Consider these popular options: The Mississippi Museum of Art, Children’s Museum, Agricultural & Forestry Museum, Sports Hall of Fame and Museum, and the Civil Rights Museum. 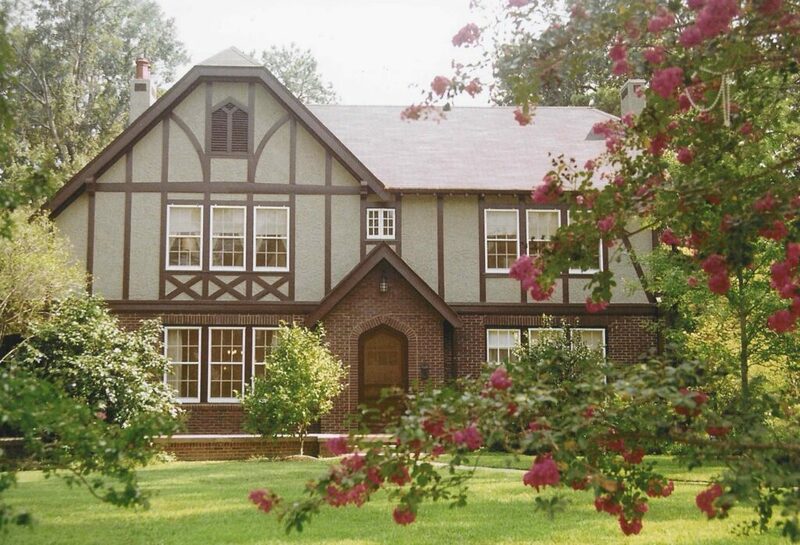 For the literary at heart, the Eudora Welty House and Garden is one of the main attractions in Jackson. Born and raised in Jackson, Welty won the Pulitzer Prize in 1973 for her novel, “The Optimist’s Daughter.” She is best known for her novels and short stories. For 76 years, the Pulitzer Prize-winning author lived and wrote in her Jackson home at 1119 Pinehurst Street. The Eudora Welty House and Garden offer a comprehensive overview of this amazing American writer and her passion for gardens, which were featured in some of her writings. Spring and summer are great times to visit with the many flowers in bloom. Mississippi played an important role in the Civil Rights movement in the 1960s. To gain an understanding of that era, visitors can explore the Civil Rights Driving Tour. This is a self-guided driving tour showcasing key buildings, churches, and other sites significant to the Civil Rights Movement in Mississippi. The tour is divided into four sections of the city and takes about an hour for each section. 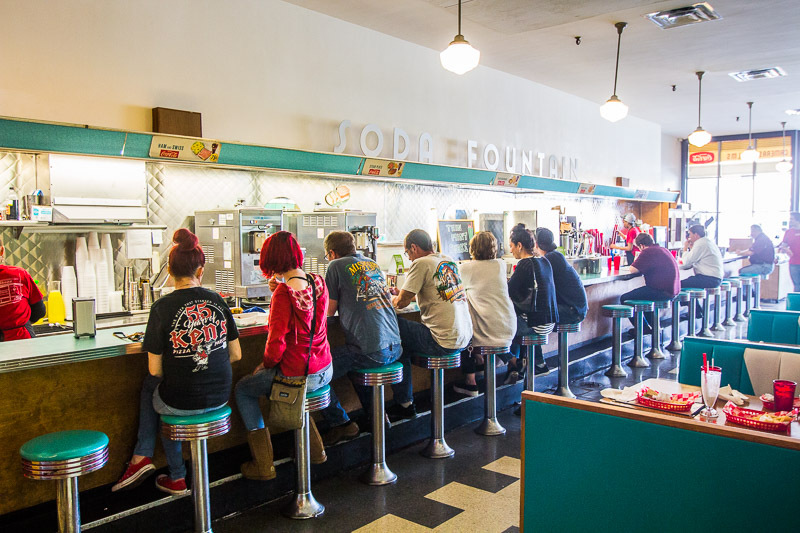 If you’re looking for a dose of southern hospitality, you have got to try Brent’s Soda Fountain. Technically called Brent’s Drugs, this classic soda fountain has been in operation since 1946. This throwback Thursday iconic lunch counter has the look and feel of being caught in a time warp, thanks to its turquoise and chrome décor. At Brent’s, it’s all about the burger. Tried and true, the Brent’s Burger comes topped with American cheese, lettuce, tomato, pickles, along with bacon or a fried egg for an extra few bucks. A short drive from the soda fountain is Bully’s Restaurant, who has served fabulous soul food to the public for more than 35 years. This iconic restaurant was named number 4 on the Food Network’s list of Top 5 Soul Food Restaurants in the country for its tender and flavorful barbecue ribs. Bully’s Restaurant also received the 2016 James Beard Award for America’s Classic Food. Though the restaurant’s outside appearance is low-key and humble, on the inside it doles out some of the best soul food in the South! While exploring the downtown Jackson area, take a half-hour and tour the Mississippi Governor’s Mansion. First occupied in 1842, this stately mansion is designated a National Historic Landmark and is well worth the free half-hour tour. For more information on the Mississippi capital, click on VisitJackson.com. You can also learn more about LeFleurs Bluff State Park on Campground Reviews. Had a wonderful time in Jackson. We missed catching some Blues music cause the club we went to was closed. From Jackson we headed north to the small town of Indianola. The home of BB King. Went to the BB King museum there and dry camped in the parking lot. Hung out that night at the Blue Biscuit bar and restaurant. BB old hand out. Definitely must see entertainment .